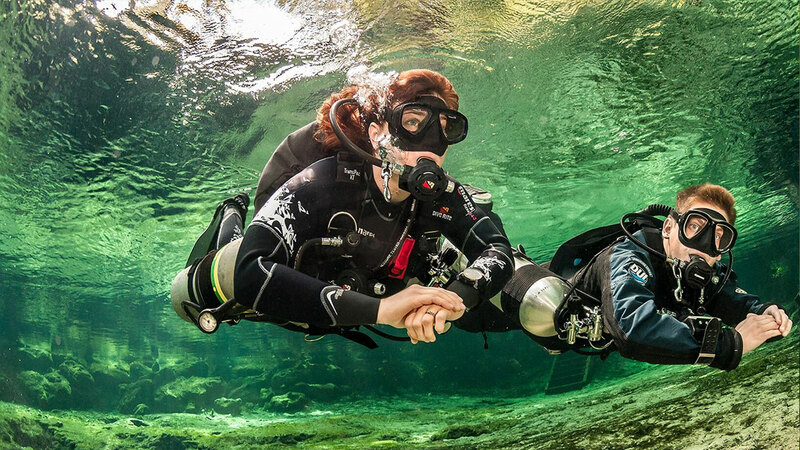 Sidemount Diving offers you flexibility and streamlining option. You don’t have to walk with heavy cylinders on your back. Just enter the water, clip them and go. You can even use more than one tank that are attached in the water. Knitting up is simpler and no more difficulty lifting tanks on your back. The PADI Sidemout Diver course introduces you to sidemount techniques for recreational diving. If you are an Open Water Diver with min. 15 years old then you are welcomed to join the course.